Democracy Now! interviewed journalist and editor Ahmad Shokr of the Egyptian daily newspaper Al-Masry Al-Youm, who called in from a landline in a Cairo hotel room Friday morning. "I think what we're witnessing is a transformation from what started it -- a youth-led movement, a movement of the Egyptian young people demanding change -- to a popular uprising," Shokr said, who was watching the demonstrations in downtown Cairo from a hotel room window. "For many people, they believe that political change from the streets is something that can happen. ... This is definitely the largest, the biggest political challenge that the regime has yet to see from the streets." Shokr explained how the public outrage and massive grassroots protest movement in Tunisia inspired Egyptians to take the streets. "The people that initiated the protests are largely a group of youth activists that are organizing through social media, mostly through Facebook. It immediately received tens of thousands of people signing up to express support for the demonstrations. It was inspired largely by the events of Tunisia a few weeks ago," Shokr said. "This was a youth led spontaneous movement being fueled by the anchor of young people across Egypt -- the anger of young people across Egypt." "There is no doubt that people have definitely been incredibly inspired," Shokr said. "People that I know personally, who just a few weeks ago would have never thought to set foot in a demonstration, who for the most part were completely be politicized, are taking to the streets and fired up and believe that being on the streets and calling for change can actually do something, to make a difference right now." 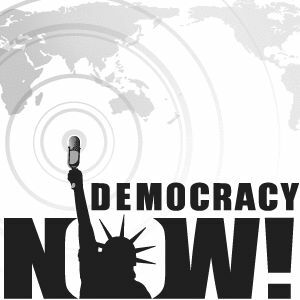 For the complete transcripts and audio/video podcasts, visit the Democracy Now! homepage. For our complete coverage of the Egyptian protests, click here. Join us on Facebook.